If you are an American, learning our history (all of it, both the good and the bad) is crucial for our legacy as a country. 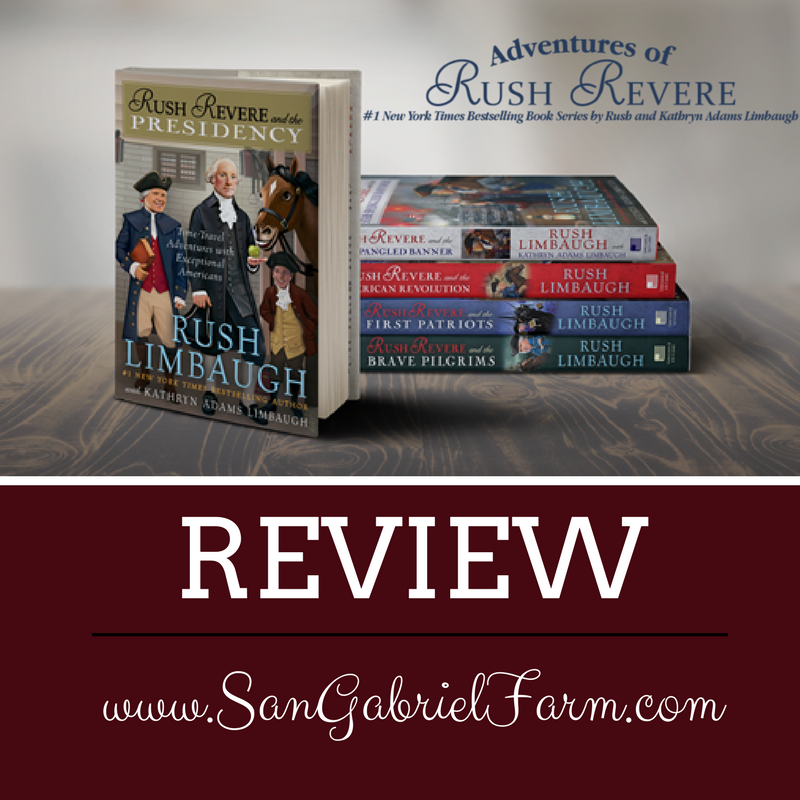 I had the distinct pleasure of reviewing Adventures of Rush Revere #1 New York Times Bestselling Book Series by Rush and Kathryn Adams Limbaugh. 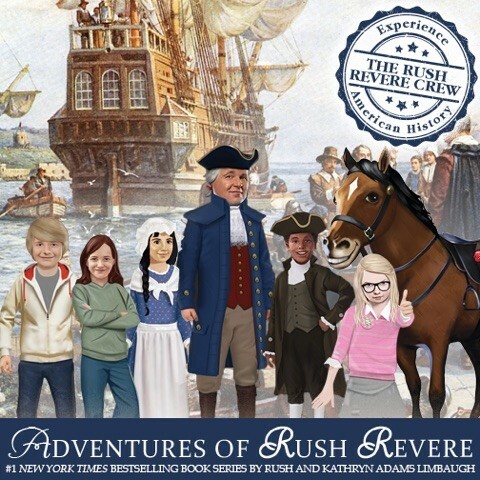 In particular, we read and reviewed the Adventures of Rush Revere Book Series. The premise behind the series is that Rush Revere (the main character) travels back in time with his trusty (and always hungry) steed, Liberty. They meet major American historical figures (like William Bradshaw, George Washington, John Adams, and many more) who helped form our nation. The series covers everything from the pilgrims up through the first presidency with George Washington. In the first book, Rush Revere is a substitute history teacher, and ends up taking students back in time with him as they learn about our American heritage. They have adventures and misadventures, all the while learning about how America was created and formed from those who had a hand in it themselves. Whenever we have a book review, I always hand them to my daughter first. She LOVES to read, with a passion. She finished all five books in the series in 2 days. But, as I have mentioned in other posts she’s a fast reader (and she’s 15). Younger students will obviously take more time to read through them, but when Lauren likes a book, she devours it. And, if she read through them in two days it tells me that she really enjoyed this series. I, too, thoroughly enjoyed adventures of Rush Revere. They were entertaining and educational. They brought history to life in an interesting way. I can see families with younger children reading them together during story hour or even bedtime. They will educate, inspire, and entertain children – isn’t that the point of a good book, though? To take you to another world and to just immerse yourself in it? It’s even better when you can learn at the same time. That’s what I enjoyed with this series. I highly encourage all families to purchase the entire set. Use it as an add-on to your American history studies.